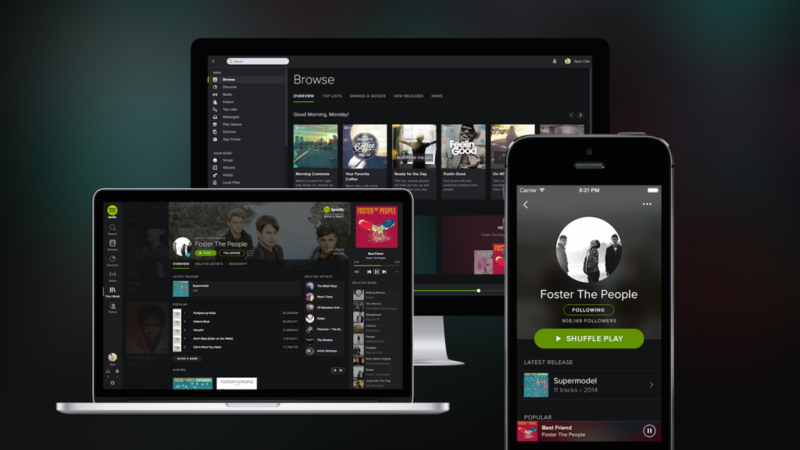 Spotify is a music streaming platform that gives you access more 20 millions songs. Launched in 2008 in Sweden, the service is now available in 32 countries and gather over 24 million active users. The service uses a desktop client that’s why you have to download a free software. Then, you have to register by creating an account with your email address or by connecting thanks to your Facebook account. Contrary to Deezer, you have to know that Spotify gave free web users UNLIMITED listening time which means you can use Spotify for as long as you want ! With Facebook integration, you can follow your friends to see what they’re listening to. What’s more, Spotify can make recommendations according to your music style: it’s a good way to discover new songs and artists! However, there are some adverts. Subscribing a Premium account (9,99€ per month), you can listen to music without adverts. You can also download music and listen to it anywhere with a highest quality audio (on your computer, on your smartphone or on your tablet from it’s mobile app).